M. Ryan Calo is a residential fellow at the Stanford Law School Center for Internet & Society. He frequently appears in radio, press, and online to discuss new technology. Everyone knows Ray Bradbury’s book Fahrenheit 451. First published in 1953, Bradbury imagined a world in which government “firemen” could enter your home at any time and burn your books “for the good of humanity.” This deeply dystopic vision has, thankfully, not come to pass. Nor could it. In the U.S., the First and Fourth Amendments project against unreasonable government intrusion, especially where it implicates ideas. The state will never be able to enter your house and burn your books, even in an age of terrorism. I really believe that. That’s why I was so disturbed to learn that Amazon has managed to “burn” two other famous dystopias, these ones by George Orwell, without implicating the Constitution. 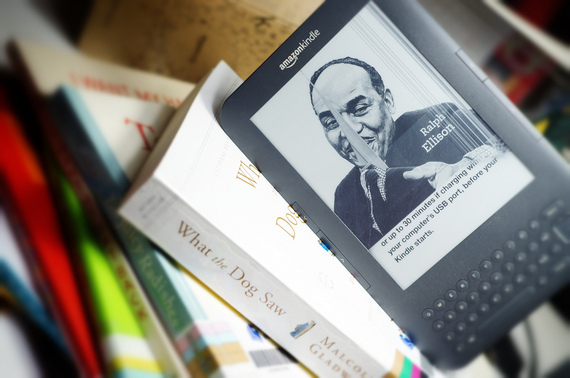 According to reports, people who had purchased Orwell’s Nineteen Eighty-Four and Animal Farm for the Kindle woke up to find that Amazon had erased the ebooks remotely. Jonathan Zittrain has warned about this phenomenon – which he calls “software as service” – wherein people no longer own what they buy. Digital products become evolving and hence unstable services that a company may alter or even destroy at whim. Like many things that happen first on the Internet, the death of ownership is also happening offline, as when car dealers leave GPS devices in vehicles so as to make it easier to repossess the vehicles later. Ebooks evoke dystopian novels in a second way. It is rapidly becoming impossible to peruse or buy a book without leaving a digital trail. Law enforcement has already reportedly asked Amazon to hand over customer purchase history; it is a matter of time before the government approaches Google Book Search. It is no accident that common to practically every dystopian novel is the abrogation of privacy. This is clearly true of Bradbury and Orwell. In Yevgeny Zamyatin’s We, the buildings are all made of transparent glass. In Huxley’s Brave New World, the biggest taboo is solitude. Bernard Marx tells us that an aversion to being alone is, of all state messages, repeated the most times during sleep conditioning. I don’t mean to overstate. In many ways we live in a historic zenith of freedom. And Amazon zapping books for business reasons is a far cry from state sanctioned book burning. But we nevertheless must get a handle on the issues of ownership and privacy that ebooks raise, lest we wake up one day to find they have disappeared. The face that it was Orwell books makes it all the more creepy and ironic. One of the services Kindle offers is the ability to take notes that will be saved on a server. I immediately wondered who has access to those notes? I also remember when Gingrich and Company in the 1990s provided federal money for libraries (a rare event in itself)to upgrade their circulation systems and go electronic. Of course, one of the requirements was that the circulation system had to be accessable via telephone line. What other reason than to allow Big Brother to hack into their circulation records at will? Creepy.